Activity tracking for your model organism of choice. For researchers studying laboratory rats, mice, hamsters, voles and other rodent species. Ideal for investigators working with zebrafish and other aquatic species. For researchers tracking activity of drosophila, cockroaches, bees, and more. Track activity in any maze, including elevated plus maze, open field test, Barnes maze, Y maze, T maze, and place preference chambers. Draw zones and analyze duration, latency, velocity, and more. Track activity in any cage, including standard home cages and enriched environments. 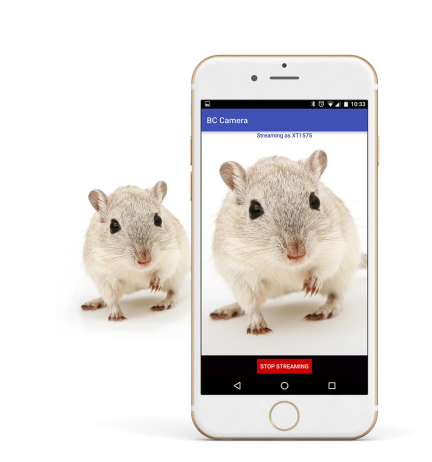 Simply mount a mobile device running the BehaviorCloud Camera app above the cage and start recording. Start now by signing up for a free account. 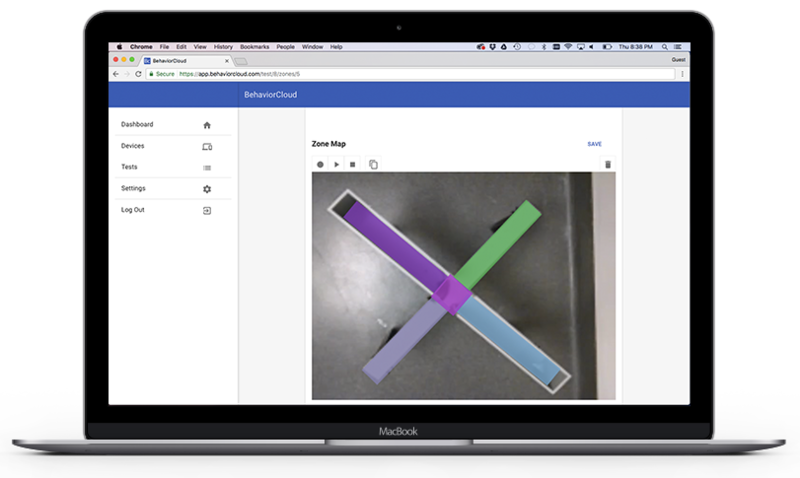 Upload or record video, analyze data, and collaborate with others.